Kevin Bieksa wanted to make an impression in his first NHL shift, seeing it as an opportunity to make his coaches and teammates take note of his desire to be a big-league player. And he did. Just not quite in the way he had envisioned. Before the puck dropped between Vancouver and Los Angeles on the night of December 19, 2005, the kid from Grimsby, Ontario, was both nervous and excited. It was the chance he had hoped for, to play at hockey’s elite level. Ten seconds into his first shift, he caught the attention of the referees. The result? One bad pass and two minutes in the penalty box. “Funny that you ask about that because I was just talking to (former Vancouver teammate) Brendan Morrison and his kids about it,” said Bieksa, who was on his way to the annual NHLPA charity golf tournament on Tuesday. “I wasn’t sure I was going to play, but I got the nod after warm-up. The nerves kicked in then. Thankfully, for Bieksa, there have been far more memorable moments since then. He has more penalty minutes than games played, 698 versus 461, but the Canucks blueliner worked overtime to become a major contributor at both ends of the rink. 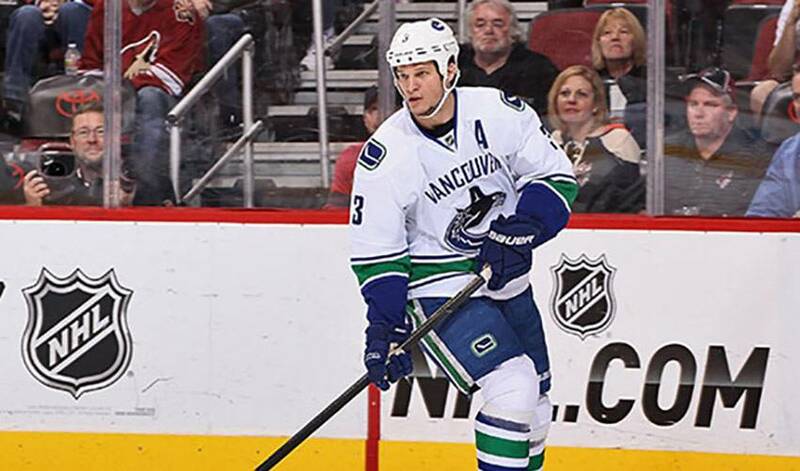 In his second campaign, Bieksa found his groove. Injuries, including three serious ones, have kept Bieksa from playing more games than he should have. But it hasn’t dampened his enthusiasm or desire. So, nearly 500 games into his career, what is Bieksa most proud of? Described as a, ‘thrilling, delicious and sometimes heartbreaking journey into the darkness of the fears we all share and the wreckage they can leave in their wake,’ Newport Jane, by Katie Bieksa, has garnered excellent reviews since the book was released on June 14. No need to ask how thrilled Kevin is for his wife.